The Pub burger from 07 Pub on Broadway. The 07 Pub on Broadway. 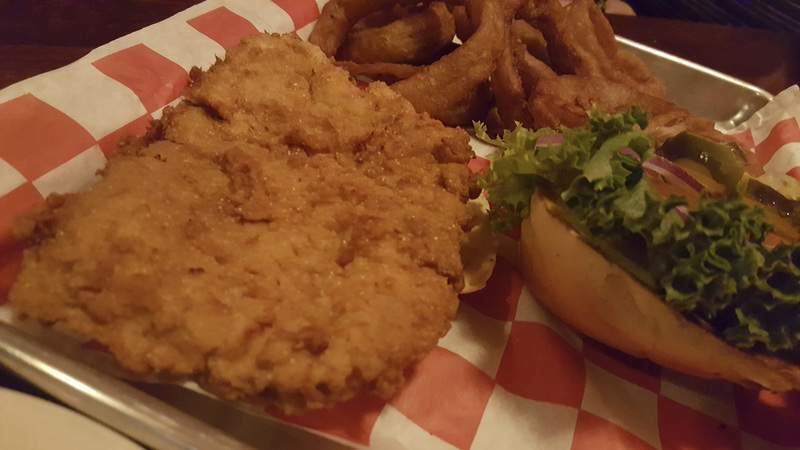 The fried tenderloin from 07 Pub on Broadway. The 07 Pub on Broadway has a cool old-school vibe. E Wings, left, and hot wings from 07 Pub on Broadway. Bavarian pretzels from 07 Pub on Broadway. Margarita flatbread from 07 Pub on Broadway. Fried mushrooms from 07 Pub on Broadway. Fried pickles from 07 Pub on Broadway. Pepperoni pizza from 07 Pub on Broadway. The sausage roll from 07 Pub on Broadway. The name really does say it all when it comes to the 07 Pub. Marcus Spillson lives in the 07 – the part of town with the 46807 ZIP code – and the fourth-generation restaurateur made his pub the kind of place he would want to hang out after work. It is a conversation bar in every way, a place to hang out with your friends and neighbors after a long day to relax and let loose a little. 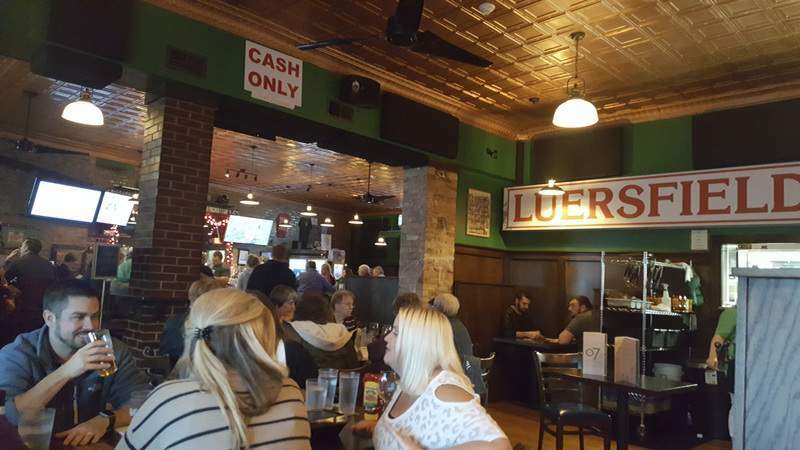 It has the right look with its gold antique ceiling, aged brick walls, a hodgepodge of beer signs and mirrors, old photos and local flair, including a giant Luersfield sign along the back wall. There was quite a buzz there every time I visited, so it is clear the locals have embraced it. I embraced the vibe, too, but would I embrace the menu? 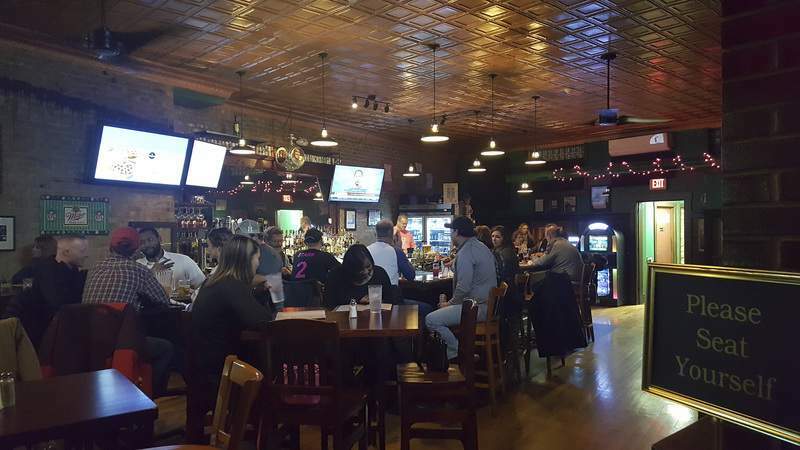 There is nothing fancy or intimidating about the offerings, and that isn't a bad thing when it comes to a neighborhood watering hole. There are burgers, pizza, wings and the like; standard bar fare through and through. I was not expecting a salad to be my favorite dish, but the Southwest chicken salad was executed perfectly with the attention to detail that many places – especially neighborhood pubs – don't often give their salads. The tender pieces of grilled chicken were sautéed with onions and red and yellow peppers so they were warm. When mixed with the cool crunchy greens, black beans, Roma tomatoes and shredded cheddar jack cheese, and dressed with the creamy, spicy Southwestern ranch dressing, it was perfect. A couple of items that I would have expected to be good were. The chicken wings came eight to an order, and I was able to split mine between two sauces. The standard hot wings could have been a bit saucier, but they were of decent size, had crispy skin and did the job just fine. 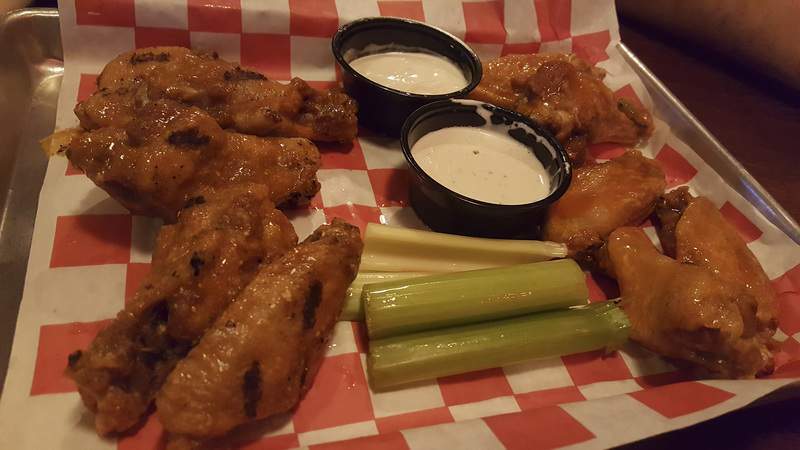 The E Wings – garlic wings that are grilled a bit after frying – were just as crispy and my server warned me that they were not very saucy when I ordered them, so that was not an issue. I struggled to taste the garlic, but loved the added smoky charred flavor the grill added. The Pub Burger was pretty standard in terms of size, but the patty also had a nice bit of char to it that I really liked. 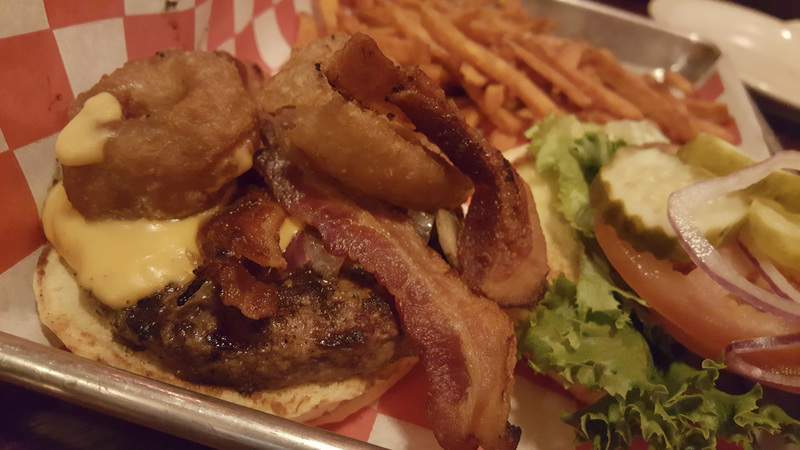 It was topped with two big slices of nicely crisped bacon, sautéed onions, mushrooms, two onion rings and beer cheese. That tasty cheese was oozing all over the sides of the burger which made it look as good as it tasted. I wish I had gotten onion rings on the side, too, because the sweet potato fries were limp and I did not like that they were so heavily dusted with sugar. The onion rings were coated in a dark batter and were nice and crisp. That batter had to have been a beer batter because there was a distinct hint of hoppy flavor in them. The breaded tenderloin was not so crunchy, but its peppery breading had a nice flavor. It was OK, but not better than the burger and it would not stack up well against some of 07 Pub's competition. 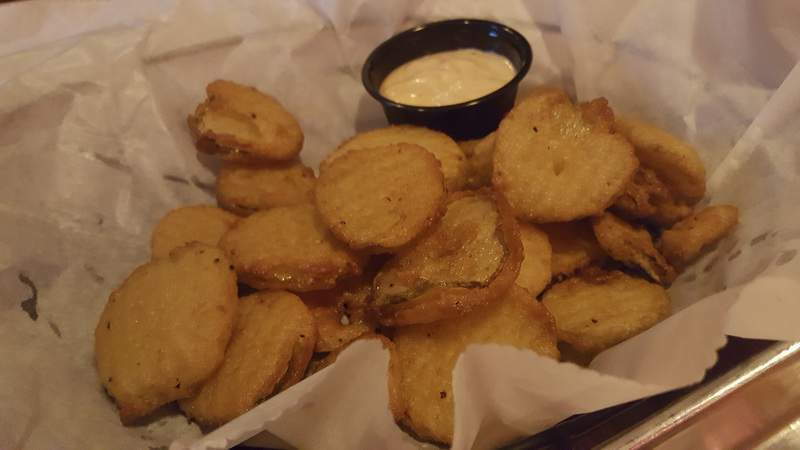 The fried pickles were the best appetizer next to the wings. These pickle chips – breaded in house I was told – were not at all oily and nicely seasoned. 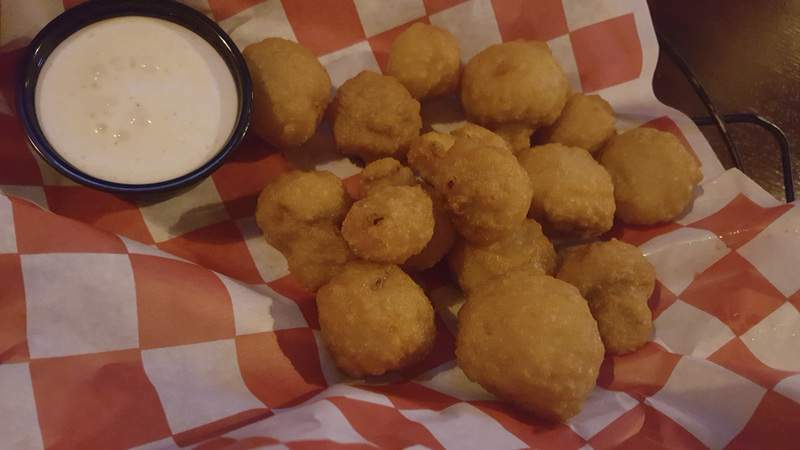 They came with a zesty dipping sauce similar to what many places serve with onion rings. I preferred mine with some of the ranch and bleu cheese I had left over from the wings, however. The fried mushrooms were OK, but did not stand out in any way. 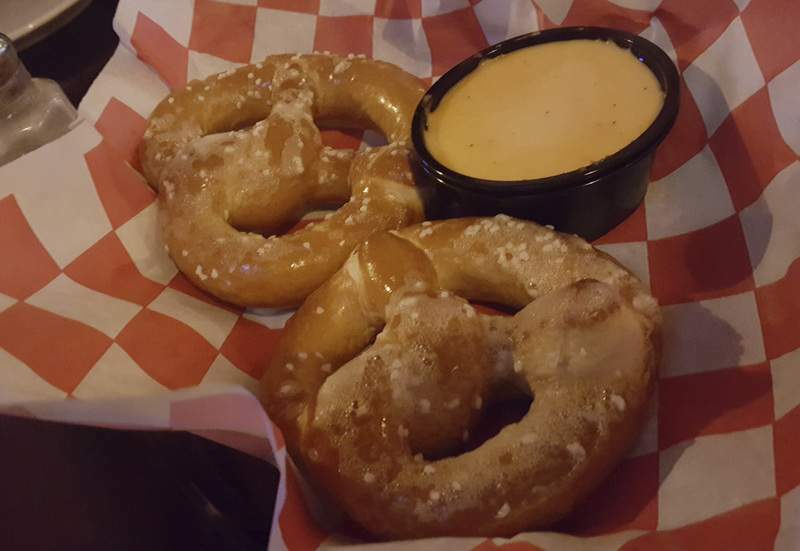 The Bavarian pretzels were hard, dry inside and not at all worth trying. 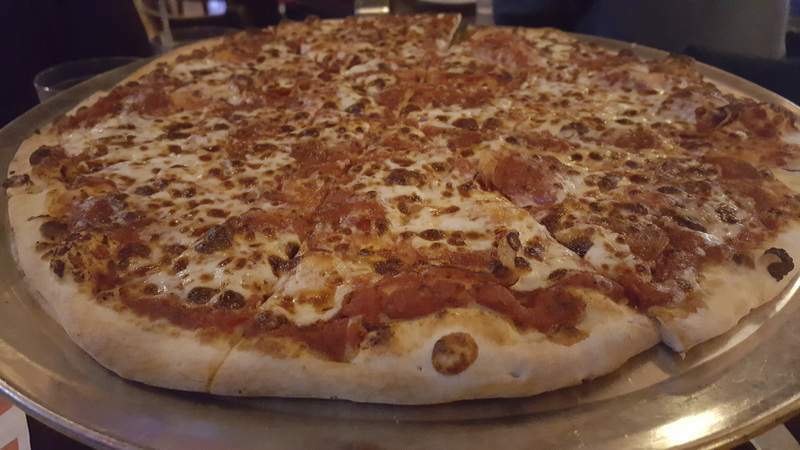 The worst items I had at 07 Pub came from the pizza portion of the menu. My simple pepperoni pizza was terribly bland and the blame for that went to the sauce. It tasted like plain pureed tomatoes. There were no hint of Italian spices or even basic seasoning. I would normally guess a poor sauce like that came out of a jar but most jarred sauces actually have more complexity. 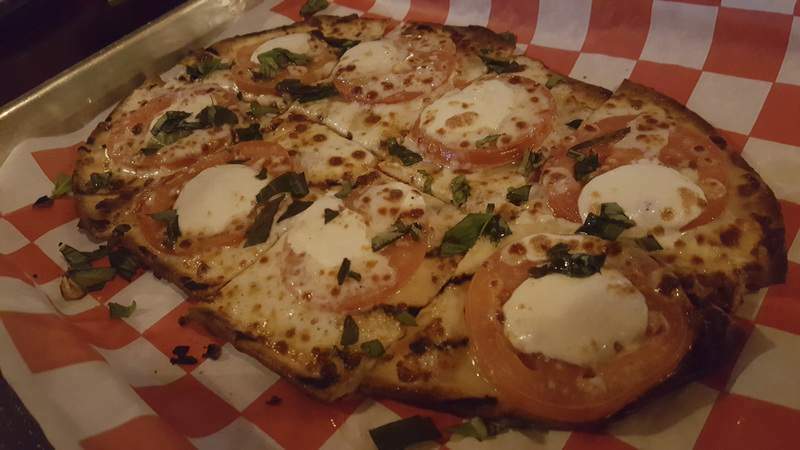 I had higher hopes for the Margarita flatbread since it did not have sauce, but the sliced tomatoes on it also were devoid of herbs or basic seasoning so it came off as flat, too. There was a little fresh basil, which helped, but it still needed a heavy dose of Parmesan and red pepper flakes. A shake of Parm and pepper helped both of the pies, but they were still a far shake from being something I would ever order again. And, not surprisingly, the sausage roll at 07 Pub also disappointed. 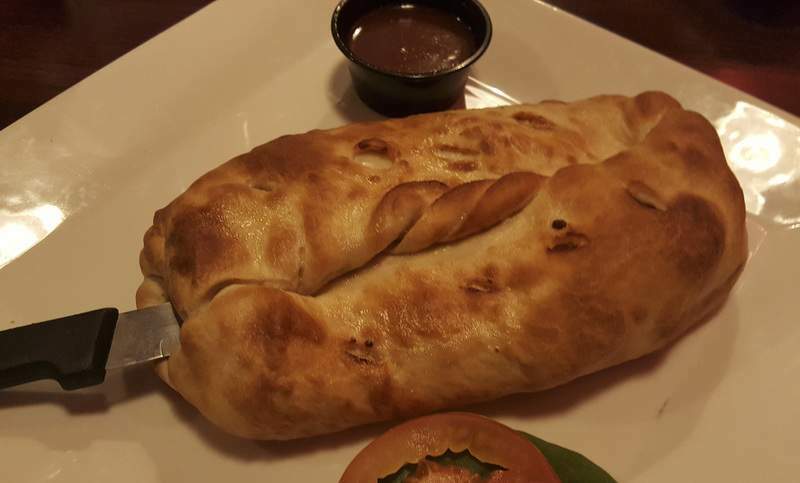 In addition to that lifeless sauce, it was smaller than the norm, lacked for filling and its exterior was soft and chewy like bread instead of good pizza crust. 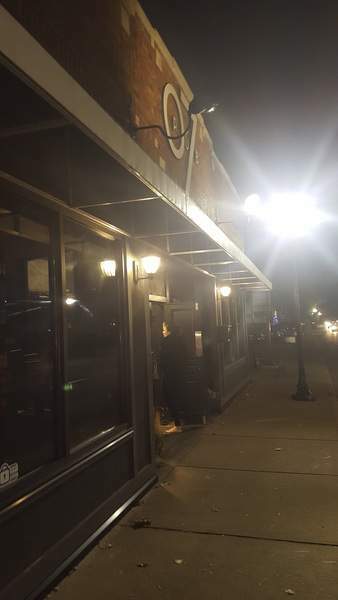 The service at 07 Pub was hit and miss, but all of the folks who waited on me were friendly and welcoming. Overall, there was a lot to love about the 07 Pub and if I lived in the 07, I might find myself there a lot. It is a fun place with a cool atmosphere and it had a comfortable familiarity to it even though it is still relatively new. But when it came to the food, it fell short. And since I am not from the 07, the likelihood of me going out of my way to dine there is slim.